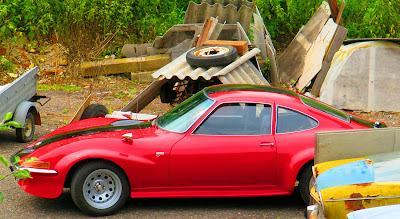 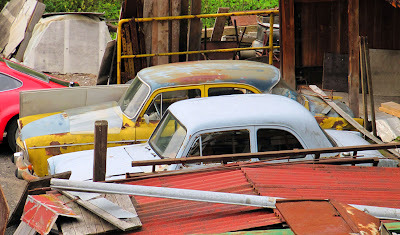 Just a few shots from backyard of Historic car museum Kuks. 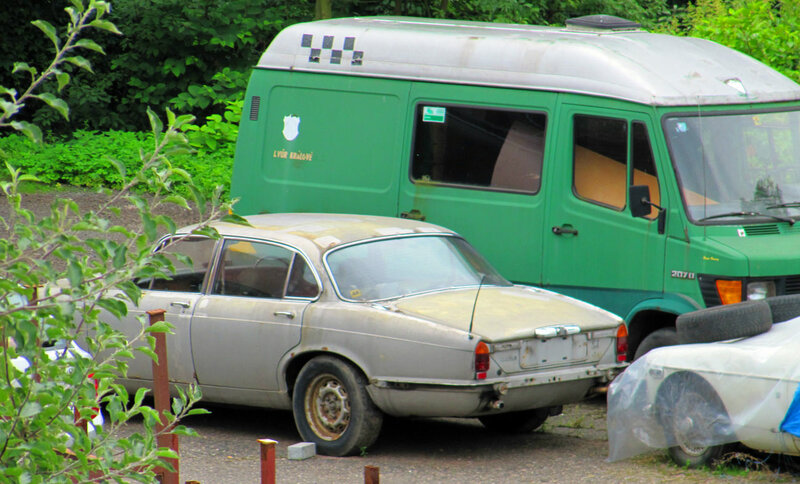 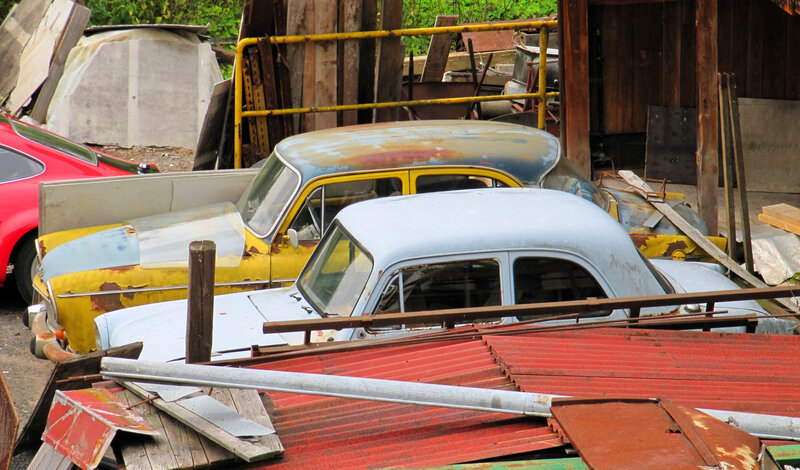 It seems like two Jaguars and some old Skoda wrecks. 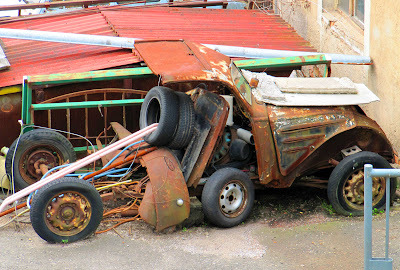 Museum can be found in village Kuks, Czech Republic.